Toyota is going to be the very first UK car manufacturer to start providing the digital traffic information service. Toyota TPEG – which stands for Travel Protocol Expert Group – is a stand-out feature of Toyota’s Touch Pro system, the latest incarnation of the Toyota Touch multimedia system. By using the Toyota TPEG system it will enable drivers to avoid the congested roads and tailbacks all too common in the UK. This pioneering new technology is going to be launched in two of Toyota’s most eagerly anticipated 2012 debuts. 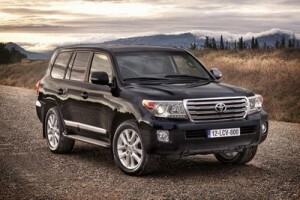 It will comes as standard in any Toyota 2012 Land Cruiser V8 that is registered for finance, lease or purchase. People who choose to lease, finance or purchase a Toyota 2012 Prius T Spirit will have the option to upgrade to the Technology Pack option, which includes TPEG. Anyone who decides to purchase, lease or finance a Toyota model with the TPEG system will benefit from more detailed and accurate traffic information, delivered in a timely fashion. This is co-ordinated with the Toyota’s sat-nav system, allowing for greater precision and efficiency with journey planning. With a constant flow of up-to-the-minute information about traffic jams, accidents, roadworks and diversions, and the subsequent impact on journey time, it means that informed choices about what to do can be taken at the earliest opportunity. The Toyota system takes advantage of new DAB radio technology that gives a greater bandwidth for announcements. This is in contrast to the previous system, which used analogue FM radio channels. Analogue radio has much narrower bandwidth, and as a result was limited to alerts about roadworks or accidents, without being able to provide in-depth information. However, Toyota takes advantage of DAB radio’s more expansive bandwidth to relay detailed information about road conditions, including traffic speeds, how long queues are and the delay that can be expected. It’s also five times faster than similar analogue services, allowing Toyota drivers extra time to make important decisions about whether to re-route their journey. What do you think of the Toyota TPEG?